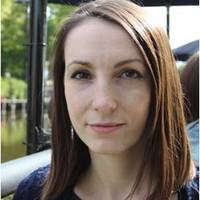 In this post I interview Zoë Boden (pictured below) on the project she led on ‘Relatedness & Relationships in Mental Health’ which ran from July 2015 to September 2016, funded by the Independent Social Research Fund Flexible Grants for Small Groups. LB: What were you hoping to achieve with the Relatedness and Relationship in Mental Health project? Do you think the project was successful? ZB: This project drew together a range of different disciplinary perspectives to reconsider the role of relationships in the mental health context. We started from the premise that this topic was deceptively simple, and had been overlooked, ignored or denied in much mental health practice, policy and research. Therefore we felt it was ripe for revisiting with an emphasis on both complexity and lived experience. The project led by myself (Psychology, London South Bank University) and Dr Michael Larkin (Psychology, University of Birmingham) brought together a fantastic group of interdisciplinary researchers and clinicians: Prof Jacqui Gabb (Sociology, Open University), Dr Rex Haigh (Consultant Medical Psychotherapist, Berkshire NHS Trust), Dr Donna Haskayne (Clinical Forensic Psychologist, Birmingham and Solihull Mental Health Foundation Trust), Dr Michael Clark (Social Policy, London School of Economics), Prof Jerry Tew (Social Work, University of Birmingham), and yourself (Prof Lisa Bortolotti, Philosophy, University of Birmingham). Members of the core team met for three workshops, each looking at case material and experiential qualitative data. In September, we held an invited event attended by 38 service-users, carers, and mental health staff working in a variety of services including, psychiatrists, peer-support workers, third-sector employees, and psychologists. There were also a range of academics present, alongside the core group. We had presentations from Jacqui Gabb on mental health and long-term relationships, Donna Haskayne on being the carer of someone in a forensic service, and myself on my research on young people, psychosis and their important relationships. Additionally, the funding enabled us to invited Dr Anne Denhov from the University of Stockholm to present on her research on how service-users manage the psychiatrist-patient relationship. We also held six thematic group discussions on the themes of ethics, intimacy, trust, reciprocity, companionship, and caring. These involved some lively debate. At the end of the event, Jerry Tew, Michael Clark, Michael Larkin and you summed up the event and thought about ways forward in a reflective panel. LB: How do the themes of the project intersect with your own current research? ZB: A range of themes developed out of this project, including ‘rights and power’, ‘complexity’ and ‘identities’. We were reminded how incredibly rich this theme is, and how under-researched it has been. With others, I have been involved in a programme of work about relational experiences and their intersection with mental health. My current empirical work, ‘Disrupted relationships: Connectedness, Psychosis and Emerging Adulthood’, certainly intersects with the ideas emerging from this project. Going forward, I am interested in thinking more deeply about how and when services intervene in service-users’ relational lives. To this end, Michael and I have applied for some more funding to explore these ideas empirically. In the future, I’m also interested in thinking a little more critically about why these choices are and aren’t made. The project has also made connections with previous work I have been involved in, particularly the work I have done about trust and intersubjectivity in the context of suicidal experience, and the work that Michael and I have published on involving service-users and carers in co-designing mental health services. LB: Why do you think that the theme of relationships and their importance for mental health have been neglected by researchers so far? ZB: Whilst this topic hasn’t been entirely neglected, it has not been given the same degree of attention that other factors in mental health have done. Of course, there has been a lot of work in particular domains – for example attachment, family therapy, or the therapeutic relationship. There is now though also an emerging literature collecting the lived experiences of carers, friends and family members of people with mental health difficulties, specifically focusing on what it is like to be the friend/partner/family member of that person. There is less research on how service users themselves experience their relational lives in this context. There are many areas of mental health that impact on relational experience and these all need exploration. For example, I have a PhD student, Sarah Bögle, who is going to be exploring the relational impact of taking psychiatric medication. LB: What do you think are the implications of your work, and the work of your collaborators on this project, for mental health services? ZB: Services and mental health policies are starting to think more concretely about the relational lives of the people who use their services, but cultures shift slowly. Relationality is complex and ‘messy’ (another reason why research might be slow in this area) and there is a lot of uncertainty, fear and resistance to considering the whole relational network and all aspects of relationality (consider sexuality for example, an area where issue of risk are particularly relevant. There are though some approaches (Open Dialogue, Network-focused nursing) that do look beyond the main carer, and try to consider the whole of the person’s relational life – though these are not yet well established in the UK. People like Rex Haigh and others, are running therapeutic communities and that is one approach that tries to put relationships at the heart of supporting people with mental health difficulties. LB: As you know, we at project PERFECT have a long-standing interest in interdisciplinary research. What do you see as the main benefits and the main challenges of working with people from different disciplines? ZB: For me, working across and between disciplinary boundaries is incredibly enriching, and it feels natural to look beyond my discipline (perhaps because I’m somewhat on the margins of psychology). More than that, interdisciplinarity it is a necessity in an applied field like mental health. I was surprised in this project that there were none of the problems I might have anticipated. Despite our disciplinary differences, we shared more than we didn’t. Issues of language and diverse reference points are always potential stumbling blocks, but for me, this is also where the creativity and excitement of interdisciplinary research lie.